A blog about moving on and empowering yourself after abuse. 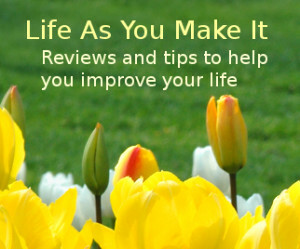 Positivity, reviews, tips and more! The diabolical and unconscionable comments that I have encountered, as of recent weeks, have made me realize how sick greed and people in power are! I have proven bigomy by self authenticating government documents; perjury; fraud; economic abuse ; and identity theft! They are after you with political backing in order to unconscionable deny fact! I am Army strong and laugh about the childish dealings! I focus on my angel live in grandson , mostly! I thank you for sharing all. I have more to learn ; however, I refuse to listen to the Gaslighting surrounding me from all in the system! I know and GOD knows the factual reality! I know my rights and will continue to seek all help for the legal and narcopath abuse I have suffered. Please note that it is not about money for me but about my life and sacrifices of 27 years, my service to our country; and it matters that any difference , no matter how small I can make, will help another individual that like all on this blog, deserve to be heard and justice to protect all from such horrific criminal crap on this planet! Peace and believe in whatever you spiritual way you wish!